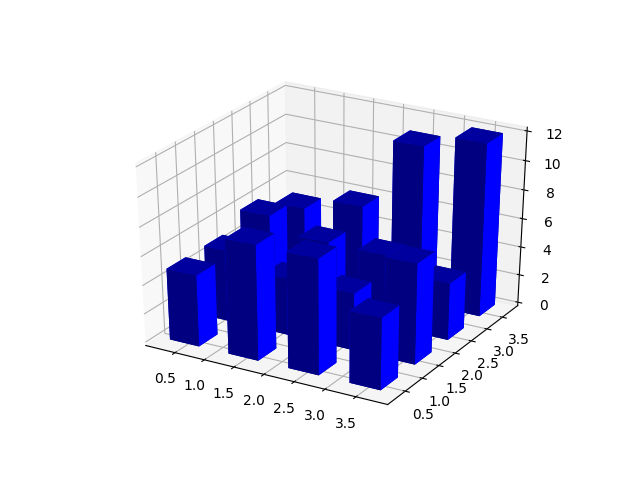 Demo of a histogram for 2 dimensional data as a bar graph in 3D. # Construct arrays for the anchor positions of the 16 bars. # Construct arrays with the dimensions for the 16 bars.